Russia's Natural Resources Ministry said Monday that an oil pipeline leak threatened environmental damage, but the pipeline's operator and emergency officials said the spill was far smaller than the ministry claimed and had already been cleaned up. 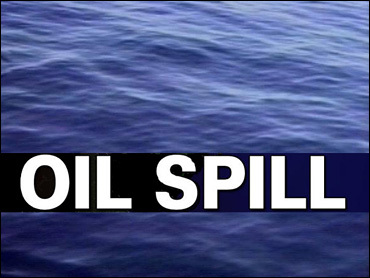 The Natural Resources Ministry backed off an earlier warning that the spill was a potential environmental catastrophe. The Natural Resources Ministry initially said the spill, which occurred Saturday in the western Byransk region on the border with Ukraine and Belarus affected a 4-square-mile area and contaminated water sources. Department spokesman Rinat Gizatulin said the leak only became public on Monday. The 2,500-mile Druzhba pipeline can transport more than 1.2 million barrels (8.5 million gallons) a day and generally works at — or close to — its full capacity. "Judging by information reaching the ministry from representatives of environmental organizations ... the consequences of the accident may be an environmental catastrophe in the region," the ministry's first statement said. However several hours later, the ministry issued a second statemnt saying experts were "not disposed to call the accident ... an ecological catastrophe." An official from state pipeline operator OAO Transneft said the spill affected only an area of about 4,000 square feet and that the consequences had been dealt with over the weekend. "It's already all cleared up. Now there is no problem," said Mikhail Sayapin, head of the Transneft unit that operates the pipeline. Russia's Emergency Situations Ministry confirmed Transneft's version of the spill. The ministry's chief spokesman, Viktor Beltsov, said it had affected an area of about 3,600 square feet and that the clean-up operation was almost complete. Sayapin said the pipeline had stopped pumping oil over the weekend, but that the flow had resumed Monday. The pipeline carries oil to Germany, Poland and Hungary, among others. Gizatulin said that ministry experts would arrive at the scene later Monday and he accused Transneft of regularly suppressing information about oil spills. "Transneft are prone to play down the consequences of accidents on their pipelines," he said. In January, Russian environmentalists complained about being barred from the site of a pipeline rupture in Udmurtia, about 625 miles east of Moscow, preventing them from determining how much oil spilled or investigating what caused the accident. The Natural Resources Ministry said at the time that at least 3,200 tons (900,000 gallons) had spilled, and at least half of that had leached into nearby waterways. But Transneft insisted that the figure was closer to one-eighth that amount. Vladimir Chuprov, head of Greenpeace Russia's energy department, said spills of 1,000 tons of oil occur once every 1-2 years on average, while smaller accidents involving several hundred tons occur every 2-3 months.